While insurance continues to be one of the most disrupted sectors in the global economy and insurance CEOs are more concerned about the pace of technological change than CEOs in any other industry, more than 90% of insurance CEOs are confident about their own organisation’s revenue prospects over the next three years. This year 100 insurance CEOs participated in PwC’s 21st Global CEO Survey. The findings show insurance CEOs share a generally positive outlook, but actual growth has typically failed to live up to expectations. Dubbed ‘The next big leap’, the report explains how insurance businesses can reinvigorate revenue growth, while still driving down costs. The grounds for this optimism also include the increasing digitisation of the global economy and resulting shift in customer preferences. This opens up a range of new opportunities. For example, as more business moves over to digital channels, demand for cyber insurance is rising – 40% of CEOs from across all industries are now extremely concerned about cyber threats, compared to 24% in 2017. In turn, there are openings for insurers to become the ‘orchestrator’ of services such as mobility or internet of things-enabled smart homes. More insurance CEOs are concerned about the pace of technological change (85%) than leaders in almost any other industry. Technological advances are changing business and operating models, which is challenging to an industry that’s accustomed to slow evolution rather than rapid transformation. Getting up to speed demands a clear strategy and roadmap for decommissioning legacy systems, accelerating automation, and laying the platform for the next wave of transformation. Substantial opportunities are on the horizon as a new generation of predictive analytics and AI transforms insurers’ ability to detect, anticipate and avert risk. Notable possibilities include RegTech, which can not only strip out costs in labour-intensive areas such as ‘know your customer’ requirements, but also strengthen risk management and improve the reliability of compliance. There is the other side of the coin when it comes to the described optimism and opportunities. 66% of insurance CEOs still report increasing pressure on their organisation to deliver business results under shorter timelines and more insurance CEOs see changes in consumer behaviour as a threat to growth (78%) than almost any other sector. So while perhaps having overestimated the impact of outside threats and short-term disruption, insurers shouldn’t be underestimating the need for longer-term transformational change into digitally-enabled, customer-focused organisations with flexible business and operating models. Driving innovation requires a dialogue between human and machines in a ‘bionic’ organisation. This isn’t about one dictating terms to the other, but humans communicating with AI and robotics to mutually improve outputs. Key to this transformation will be the success to attract digital talent, but at this point only 19% of insurance CEOs say it’s easy to do so. More than 80% are concerned about shortages of digital skills within the industry (81%) and within their workforce (86%). While this is a challenge for all sectors – around three-quarters of participants in the CEO Survey are concerned – insurance CEOs are most concerned. And it isn’t just digital skills that are in demand, but also the creativity and emotional intelligence needed to innovate and re-connect with customers. 86% of insurance CEOs believe they need to strengthen soft skills in their organisation alongside digital skills. 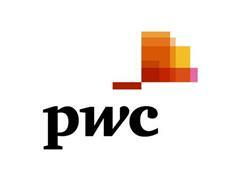 100 insurance CEOs were surveyed as part of PwC’s Global CEO Survey. For more information see: www.pwc.com/ceosurvey.